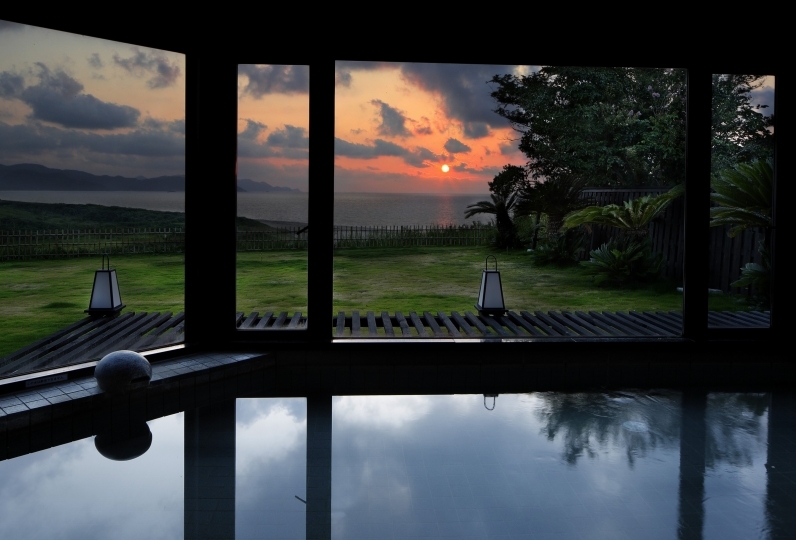 Sumihei is a quaint ryokan located in the quiet area of Mahito, surrounded by the sea and the mountains. All of the rooms face the ocean, overlooking the magnificent beauty of nature while providing a hidden place of refuge and relaxation. The pride of Sumihei lies in the two outdoor spas, which gaze over the transience of the four seasons. Listening to the sounds of jazz, enjoy moments of serenity while watch the rising tides of the Sea of ​​Japan. At night, observe the night sky fill with stars, and allow yourself to drift away from the everyday grind into a world of magic. When traveling, many people desire to eat food unique to that specific area. If you're that type of traveler, we have an answer for you here at Sumihei. In winter, one will enjoy hand-picked live crabs of Tango. Throughout the rest of the year, Sumihei serves high quality seafood that skips the fish markets and is delivered straight to the ryokan. With every bite, you will enjoy luxurious cuisine to your heart's content. At night, rest in your room facing the Sea of ​​Japan. 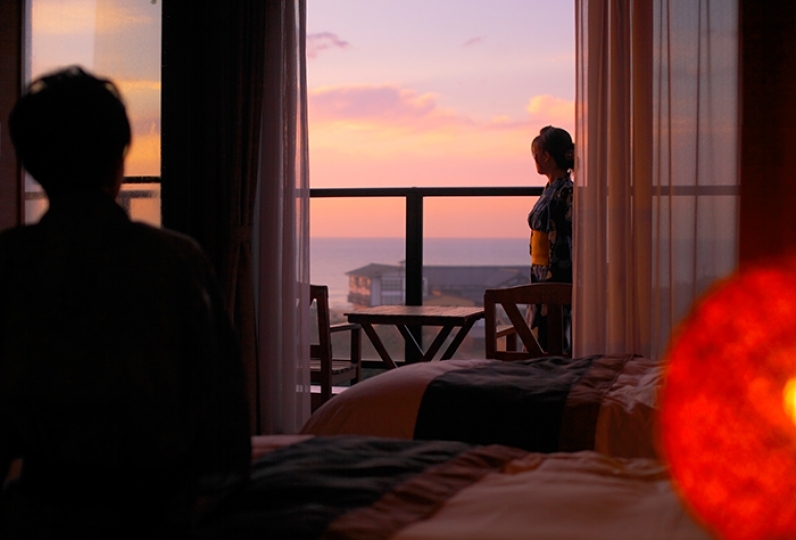 While enjoying the accommodation's Japanese rock garden and chic furniture, listen carefully to hear the sound of the ocean waves. Enjoy your time while forgetting about the troubles of everyday life. The lovely scenery, delicious seafood, and outdoor spas interweave to create a private getaway. Leave the hustle and bustle of your everyday life, and create memories while enjoying the beauty of nature. 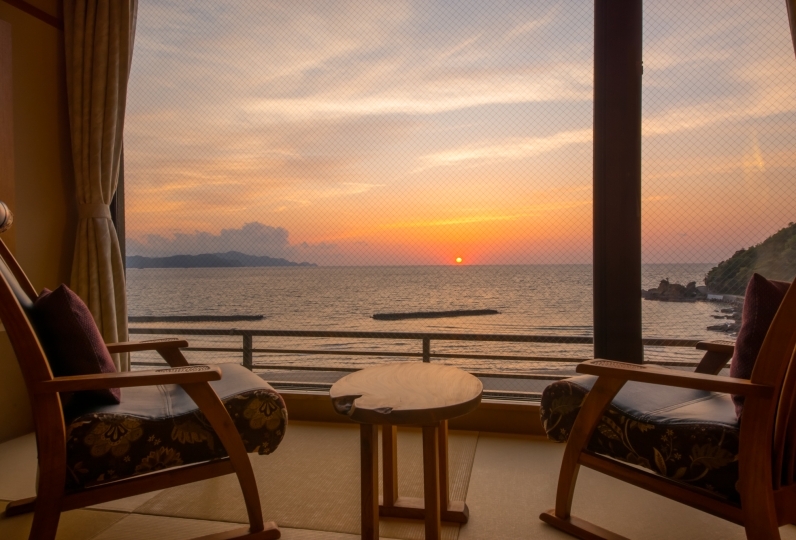 Discover the unreserved charm of Hashihito while staying at Sumihei. I chose this inn because I have written only good comments so far and that it is not cheap. It was far from what I thought. 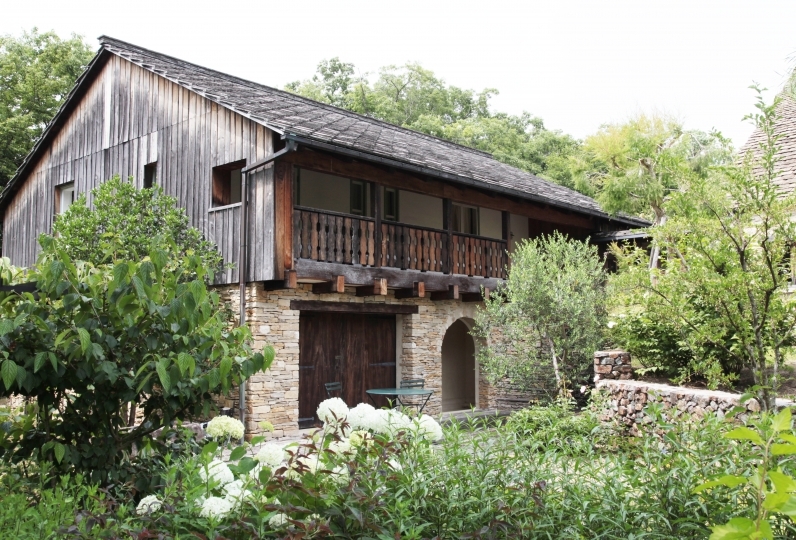 I thought that there is a sense of luxury to some extent from the price range, but it was an inn for group guests. In the lounge, group guests made loud noises, and after the food service was started in the lounge, they stayed for a long time, and other customers could not even use the lounge. I could not enjoy a drink in the lounge or spend a relaxing time. It may be the freedom of the customers that the group customers stay in the lounge, but I thought that the facilities did not have any thoughts, such as consideration for other customers. Also, some rooms are close to lounges and stairs, so you can hear your voice and even hear the sound of walking. In the dining room, you should enjoy the meal relaxedly, but the group customers are loudly loud and you should have left a seat, but the voice echoes on the floor, and you have been eating at the restaurant of the mass inn from beginning to end I was tired. The pace of delivery was not the pace of the customers eating, but it felt like it was at the convenience of the kitchen. The hot spring was circulating and the smell of chlorine was strong. We use the same price range lodging, but there was no other lodging like this noisy. The purpose of each person's trip is different, but it was a pity that it was not a hotel to heal your everyday fatigue. All services were top quality hospitality. It was disappointing that all the expensive ryokans and hotels I have stayed so far have been free of alcohol and soft drinks. You can bath in the on-site "Senshizuku." At "Senshizuku " , there is a two bathing place. リListening to jazz while overlooking the Sea of ​​Japan, please enjoy a relaxing time. ※For the large bath, men and women replacement system. • This plan room rates includes the bath tax (¥150).